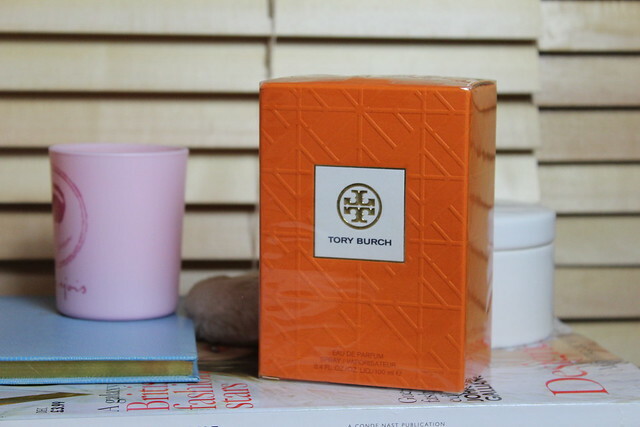 For day six of the January giveaway we have something special – the brand new fragrance fro Tory Burch! But having decided I have more than enough fragrances in my life, I wanted to share the love and include it in the January giveaway. Want to win it? Just check the rules and enter below…and see you tomorrow for another one! All 10 giveaways will close at midday Sunday 12th January 2014. Winners will be contacted within 48 hours. If the winner doesn’t confirm details within 48 hours of contact a new winner will be chosen. To have a positive outlook on life! to get fitter by walking more. Park the car further away from my destination, try to walk somewhere every day, take the stairs instead of the lift/escalator. to be able to fit in my fav pair of jeans again! T-minus NINE MONTHS until my wedding day (eeeep!) So my new years resolution is to up my training regime, keep to my healthy eating and start researching skincare to ensure my routine leaves my skin glowy and photo-ready. Here’s to a very exciting 2014! Another new years resolution of mine is to save more money! To make more effort and stop doing everything half heartedly. To stop worrying so much about little things. Id like to go all the average stuff like get fit, eat healthy etc, blog more. But my main priority for this year is to say yes more! Take full advantages of all oppurtunities in my direction! to lose weight for vacation! To have a weekly manicure. To be more healthy exercise and food wise and to not be so hard on myself. to get fit and run the race for life. To be more daring, have courage! Get out of my comfort zone! Helping other like offing my time to helping friends babysit and volunteer for a non profit organizations that could really use people like me, even just for 1 hour. To lose my baby weight! To have a nice relaxing bath at least once a week – because showers don’t quite cut it in the relaxation stakes. Thanks for this amazing give-away! To be more positive about things. I follow in bloglovin’ as Bibliomouse. One other is to get 8 hrs of sleep per night and not oversleep! My new years resolution is to stop sweating the small stuff. To be more active in what happens in my life. To grow and to learn. To be better with money and lose my last stone! Have followed via bloglovin as katslo. To get back into playing the piano, it’s been almost 20 years since i stopped…!!!! To exercise at least 3 times a week! my resolution is to take one day at a time and stop worrying too much about the future! Work like crazy to get the final year grades I neeed! I will to make our nation and family proud by doing something good. My news year resolution is be more positive! My resolution for this year is being more patient with everybody. My new years resolution is to take more care of myself (physically , mentally & emotionally) so that i can in turn take better care of my loved ones. I resolve to eat healthier and take better care of my body. My new year resolution is to drink more water! My resolution:more visit to my parents that I love! To appreciate what I have and have a fun year!! To take better care of myself and get healthy. My new year’s resolution would be to be always on time on meetings, classes, etc. My New Year’s resolution is to take better care of my self and my family and to serve them healthier food. Might sound a bit weird to call this a resolution, but oh well, there it is. I am seriously underweight due to the side effects of a medical condition that has caused me to develop severe food phobias. My new years resolution is to re-introduce at least 4 new foods into my diet this year. i want to have a great university year! My new year resolution is eating less food. My new years resolution is to keep my sugars balanced by eating the right foods. To write on my blog more often! My new years resolution is to find new hobbies! My resolution is to be more positive and to be less harsh on myself..
My new year resolution is to keep a healthy mind which automatically makes face glow 🙂 ting . FOllowing you on blogin :http://www.bloglovin.com/onboarding#/categories.. m there with MixedBag Blog. My new years resolution is to take a time out every few days and pamper myself. I’ve got an 18 month old son and a daughter due any day now, so I often neglect myself. To be more organised, in my home and in my mind! To stop eating fast food. My new year’s resolution is to save money for my wedding. My New Years resolution is to exercise more during the winter months. – My Mother & I would like to start running a blog together, my involvement would be reviewing as I already do that. – To get my debit under control, I internet shop way too much! I want to enjoy myself a lot in spare time. 2014 RESOLUTION: GET SOME JOB EXPERIENCE! My resolution is to learn how to make jam, even though it’ll probably cost a fortune, turn out to be a total disaster, destroy four saucepans and I’l be reaching for the Harley’s within a week. my resolution is to travel round asia this year! Also to go to the gym twice a week to get fit for holiday! Hi, my resolution is to study more and graduate university. Bloglovin: pnrdrnk, email:pdernek@gmail.com. My new years resolution is to be more patient, kind and loving. My New Year’s resolution: be sensible with my spending (or at least try)!